Repeat process on the other side making another fillet. 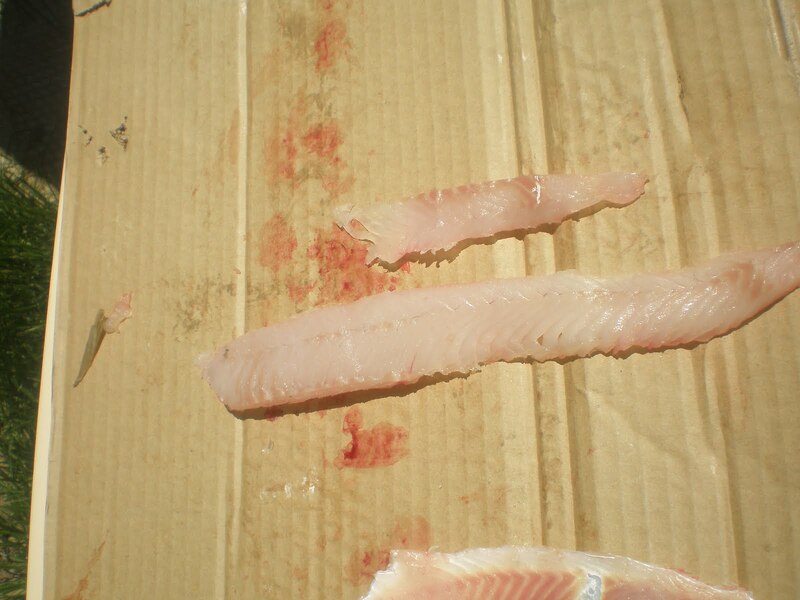 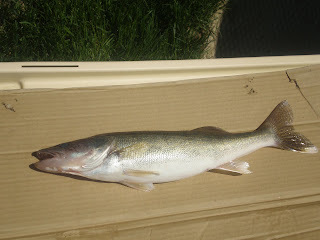 Cut both of the fillets off of the walleye. 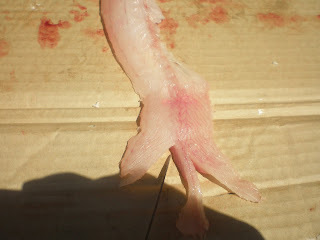 One should looks like this. 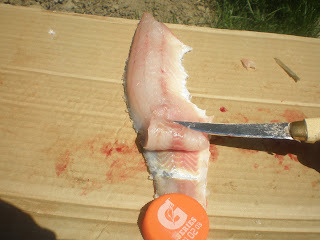 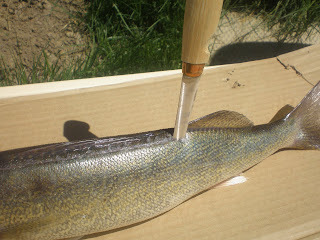 Use a cap to skin the fish. Push the cap down and fillet the meat away from the skin. 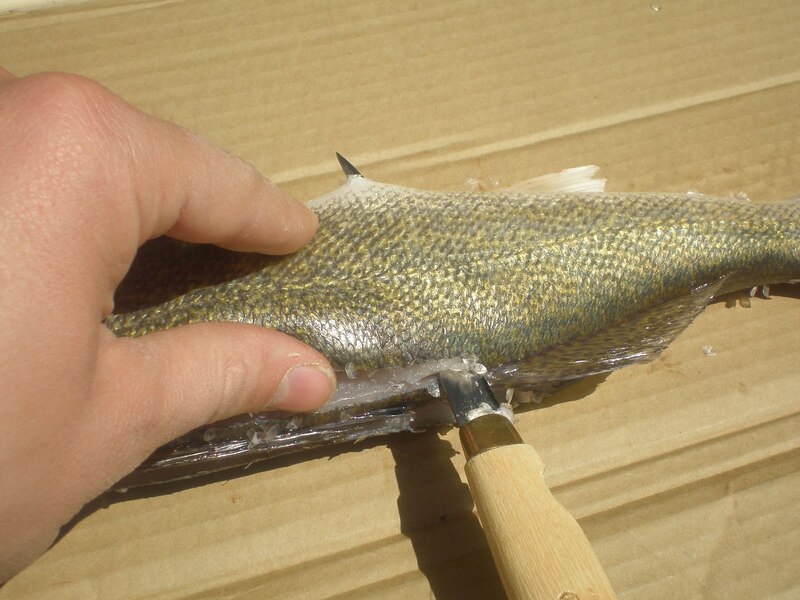 Now it is time for the zipper trick. 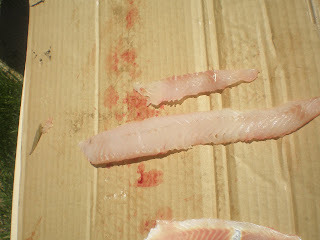 Note the dark pink area in the middle of the fillet. The bones run along this pink line. 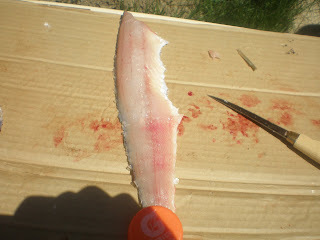 Take your knife and make a cut on both sides of the pink bone area. 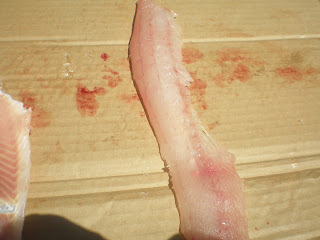 Once you have made the cut, pull the meat away from the bone area with your fingers. Make sure to do both sides. 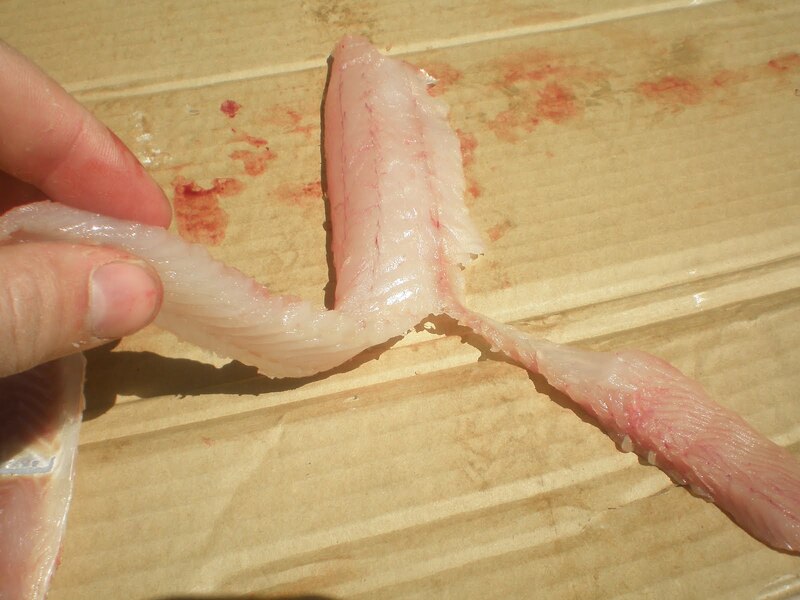 You will end up with two pieces of meat per fillet. 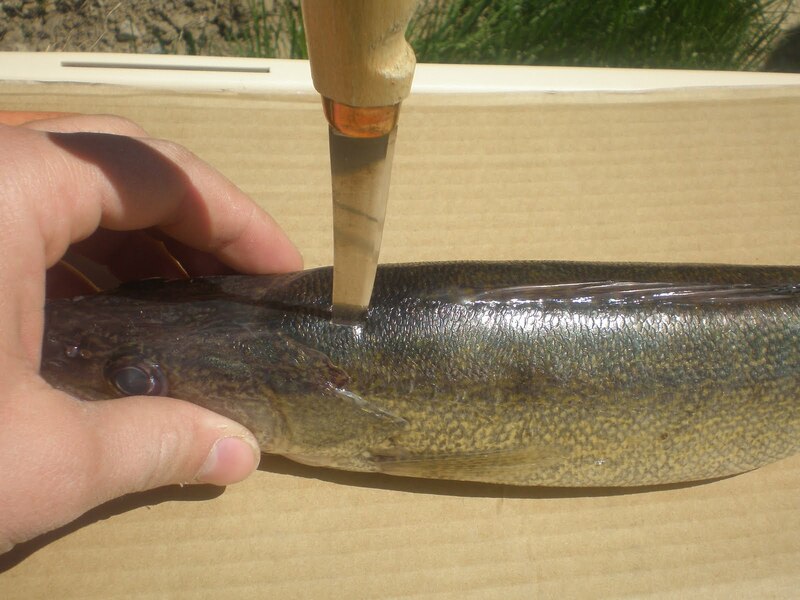 Try this method the next time you catch some walleye. 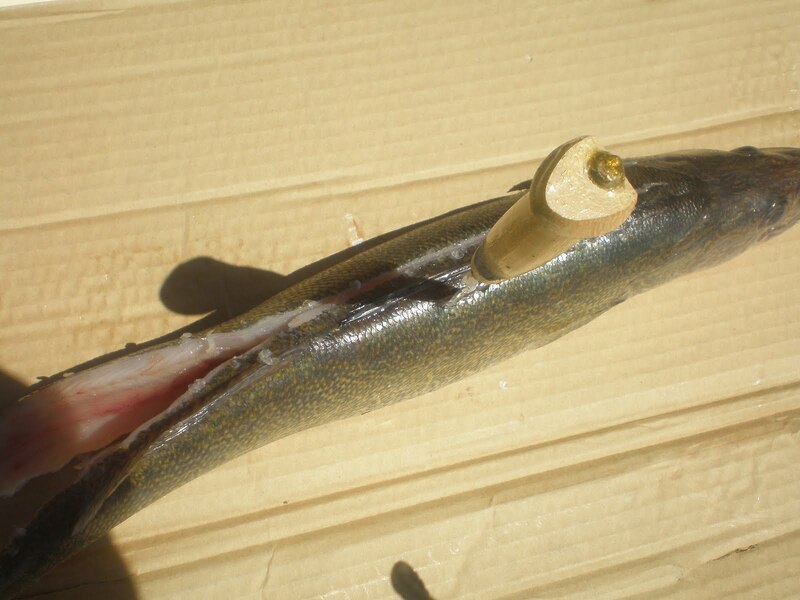 The zippering method is a simple and effective way to removing all of the bones from your catch.